As such, hearing loss can stem from damage to any or all of the above areas. Moreover, each of these auditory components has many “moving” parts, which further complicates the problem. In addition, hearing loss that originates in one region of the auditory system can directly impact the others – creating a negative feedback loop that only worsens over time. So determining the exact cause of your hearing loss requires a comprehensive, holistic analysis that examines the unique relationships between each of these auditory components. The outer ear describes the “visible” portion of the ear that houses the primary passageway for sound. And for most patients, the biggest impediment to hearing is excessive earwax buildup. Fortunately, this problem is easy to detect with simple visual inspections during routine hearing evaluations. And it’s possible to address this issue with regular cleaning and maintenance. All 3 of these are necessary for proper sound amplification. And at The Hearing Solution, we evaluate the health of your middle ear using 2 separate diagnostic tests. These exams help us determine how effectively sound is being amplified and sent to the inner ear. The inner ear is responsible for converting sound vibrations into electrical signals – via the cochlea. These signals are transmitted along the auditory nerve to the brain for sound processing. Damage to certain portions of the inner ear can affect which registers and pitches you have difficulty hearing. And thus, we use a number of tests to help us pinpoint potential trouble areas. Otoacoustic emissions to assess the health of the hair cells used to convert vibrations into electrical signals. Audiometric testing to analyze which frequencies or pitches give you the greatest difficulty. This helps us determine the type and severity of your hearing loss. Bone conduction to differentiate between hearing loss stemming from the cochlea vs. the malleus, incus, and stapes. Even if the ear’s infrastructure is intact enough to properly capture and transmit auditory signals, a patient can still have difficulty hearing. This is because the brain is ultimately responsible for sound processing and auditory memory. In fact, 2 people can receive the same audio information but “hear” very different sounds – as this Yanny/Laurel illusion clearly demonstrates. To help us determine if your hearing loss originates in the brain, we use “speech in noise” testing to simulate real-world environments. These evaluations measure the strength and quality of the signals reaching your brain for processing. Our analysis also includes memory exercises to gauge how effectively you’re able to recall and contextualize sounds. 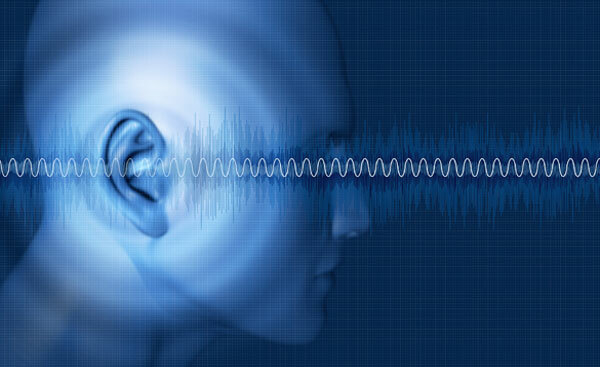 Ready for a Comprehensive Audiometric Evaluation? As you can see, the exact causes of hearing loss vary from individual to individual. And finding the true source is very difficult using routine audiological examinations. But at The Hearing Solution, we run a full battery of tests to isolate which component(s) of your auditory system may be causing problems. Based on the results of these exams, we’re able to design and implement the most appropriate treatment solution. If you’re currently suffering from hearing loss – and would like to learn more about our comprehensive diagnostic testing in the Sacramento area, schedule a consultation with The Hearing Solution today.